Play Chicago™ online for free now! Crooks, gambling, business in the back room. 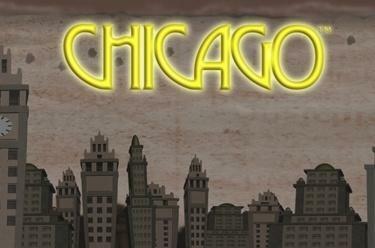 The 1920s Chicago defined by the prohibition is brought back to life with its shady characters in this online slot game. With a bit of luck you’ll leave a lot richer due to our gangster’s manipulations and stylishly cash in your share of Game Twists! Welcome to a comic book style slot game that takes you back to the world of the Mafia, and lets you turn any old booze into Twists in the bonus game! 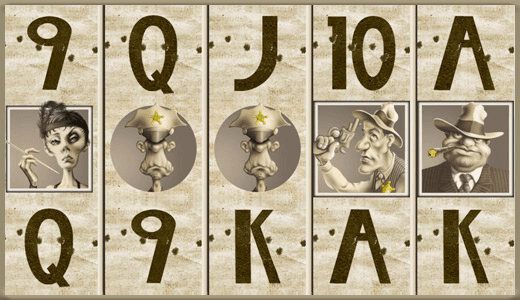 Chicago™ is played on 5 reels and up to 20 win lines. Your aim is to land 5 matching symbols along a win line. All winning patterns start on the first reel to the left and run along the win line to the right. You have landed a winning combination if the symbols follow a winning pattern and lie side by side. 3 or more Scatter symbols ('Cadillac') anywhere trigger 12 Free Spins with Bottle Shooting bonus - big winnings are guaranteed, because every win during a Free Spin will be randomly multiplied (max. tenfold)! The settings and the paytable of your last regular game round will be carried over to the Free Games. 3 or more Scatter symbols during the current Free Game win more Free Games.